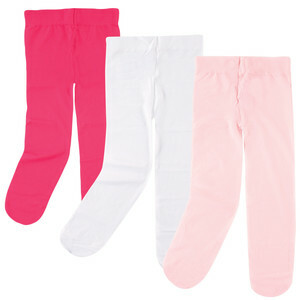 Luvable Friends 3-Pack Tights for Babies are an adorable item for your little one. 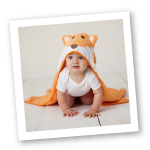 Made of 100% Nylon, these tights are soft and gentle on baby's skin, but durable and machine washable for easy cleaning and everyday use. Why not pair them up with any Luvable Friends Girl's Dress shoe for an adorable outfit idea! Please note, our sizes for these tights do tend to run large, so we would suggest ordering a smaller size.